Sometimes you meet people in the most random of settings, you spend time with them, you see them often within a short amount of time, and then you both go elsewhere, in different directions. Often these encounters are just moments in time, never to be happen again, and usually both parties disappear, never to talk again. I met Erica in Brooklyn in 2011 when my roommate was away for work for months on end and we were subletting her room. We met in November and by December she had already gone on her merry way to brighter pastures. We did however become Facebook friends and I have recently become enamoured by her band GRAND BAIN’s songs. I didn’t even know Erica was a musician – for me she was this beautiful young lady with great energy and this wonderfully calm aura about her. This is also how I would describe GRAND BAIN’s music: beautiful, at times wonderfully calming and at others deeply intense, like an ocean in a dream. GRAND BAIN is Erica von Trapp and Jules de Gasperis and was born in Paris thanks to a Craigslist ad for another band that is now defunct. Erica and Jules thankfully decided to continue to make music together, and have already recorded and released 4 songs that I cannot stop listening to. I find it hard to classify music, and I don’t really like to, but I think GRAND BAIN's own classifications of Indie Pop or Dream Pop works well enough, if you are looking to put them in a musical category. 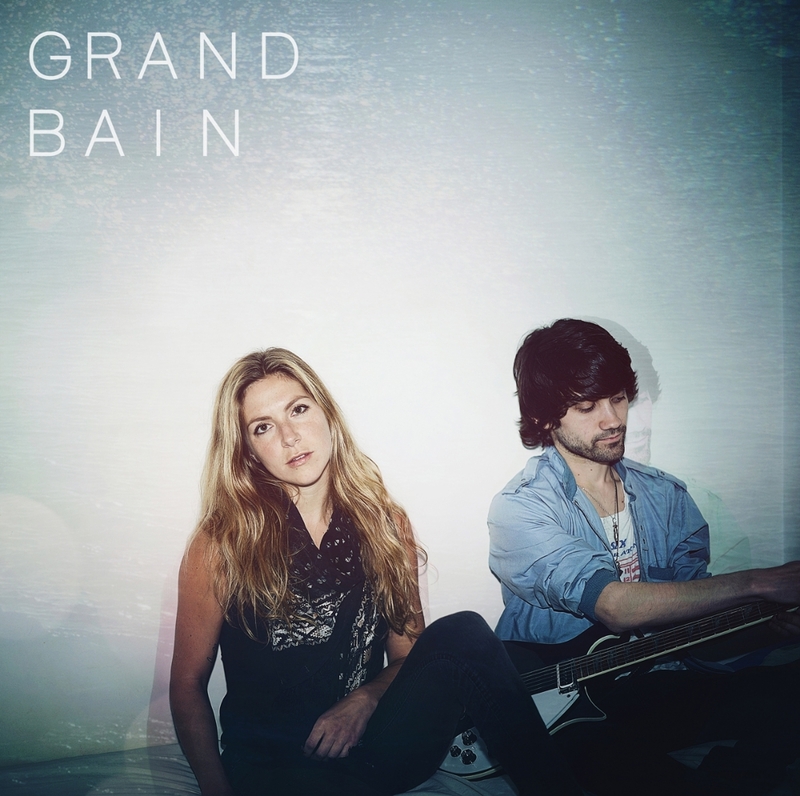 I prefer to say that GRAND BAIN’s songs appeal to a variety of tastes, dreamy but with a real edge to them (and the meaningful lyrics mesh really well with the melodies). Listening to GRAND BAIN reminds me of those perfect weather days in late spring or early autumn, when you can feel a hint of impending winter or summer on the horizon, and you therefore appreciate the day even more. An autumn day just before the leaves turn, while the sun is still golden – those days that you dream of, those days that happen once in a while and leave hazy memories tinged with nostalgia. I seriously can’t wait for them to release an album (hopefully sometime next year). No Country just washes over you, like waves crashing on the beach and the water slowly subsiding back into the vast ocean. Simple Things is just so pretty. Erica has a lovely voice, somewhat ethereal, at times light and soothing, other times powerful and dark. I feel like this song is a paradox, seemingly light and simple, with a darker undertone. Leonie’s Dreams is just like a dream, the melodies and vocals pull at your heartstrings. It’s beautiful and so sad at the same time. Leather is so nostalgic, dreamy and inspiring. By that I mean that it inspires me to close my eyes and breathe deeply, taking in my emotions, ready to create something from them. flies lit the logs with fires in their back. JAH: How did GRAND BAIN come about? GB: As all great beginnings, ours was on craigslist. We met when Jules put out a listing for an English-speaking singer for a New Wave/Electro project he was working on. After a few e-mails were exchanged, I came to the studio, we talked for like an hour before the actual audition, it went well, and we started working together. We discovered a deep connection musically and personally quickly. So, after the group broke up, not making music together seemed like a mistake. We started writing songs based off of demos we had both independently arranged and collectively composed. After toying around with many ideas and different potential members for the group, we finalized that the group would be us two, and GRAND BAIN was born. JAH: What are your influences? GB: Our influences, musically, stem from a two sources. The first would be groups that write songs that have a heavy hitting resonance on an emotional and lyrical scale, such as The Arcade Fire, Interpol, Metronomy and The Kills. From a position of musical arrangements and sounds, the production quality and instrumental creativity of groups like Moderat, Caribou, and Son Lux have inspired our sound selection and studio choices. For the live show, Son Lux has also inspired us deeply. We had the pleasure of seeing his intimate performance at Café de la Danse in Paris. While the album is highly arranged with many sounds and textures, the live version was immaculately minimalist, played by three, with a mature selection of sounds to recreate, but not duplicate, the sounds you hear on the album. It was supremely touching, and something we’ve reminded ourselves of continuously as we recreate the studio songs to be played by two. GB: The songs we’ve released so far are the first ones that were born both as individual compositions and songs we created together. Generally speaking, Erica takes care of the lyrics and Jules takes care of the musical production and melodic composition. There are certainly exceptions. And, of course, each song has a little story. LEATHER - the arrangements for the song came to Jules in a dream. The melody comes from a far more electro/dance song from a non-released song from the previous group we were in together. NO COUNTRY - came about when we were improvising in the studio after rehearsal. Erica is not a drummer, but for some reason was on the drums, while Jules was on the synth and analog bass. A few chords came out, a quick rhythm started to be tapped, and a melody flowed. Jules wrote the lyrics later. LEONIE’S DREAMS - was written by Jules when he was living in Hong Kong for a year and a half. The song started out very reverb heavy and chaotic, and was tightened up a bit to fit the style of GRAND BAIN. JAH: Any plans for the rest of the year? Album release, shows etc? GB: We’ll be returning to Paris after summer vacation to play our first show at the ParisParis Club on September 18. After that, we plan to continue to play shows in Paris, France, and some European cities for the rest of the year while finishing up the album. In 2015, we plan to relocate to Los Angeles for a quarter to tour the West Coast a bit, release our first EP, and work towards the first full album. JAH: How did you decide on the band name? GB: The band name was decided upon mid-sport. To keep in shape we started swimming in Paris’s municipal pools together. Mid lap-swim, we looked up from the water, and saw a sign that said “GRAND BAIN”, which translates to “deep end”. It sounded good in both English and French (Grand BANE being more of the English pronunciation) and we agreed that if we didn’t find a name we liked more within the upcoming two weeks it would stick. And it did.